MODA 360, an innovative exhibit of international art, fashion and film, presented a sustainable runway to benefit the Los Angeles Zoo and Botanical Gardens conservation program and celebrate the Zoo’s 50th anniversary on Aug. 1, 2017 at The New Mart in Downtown LA. HPC’s Vida G. with Debora Pokallus, founder of Moda360 (in white) and zoo executives. Vida is wearing a Deborah Lindquist design. Moda 360, a fusion of art, fashion and film, incorporating exhibits and live presentations and encouraging collaborations between the three creative industries, brought sustainable designers from London, Los Angeles, New York, Colombia and Guatemala and showed the art of sustainability. This innovative company was founded by Debora Pokallus. Ethical fashion took center stage on the runway with Los Angeles designers Julie Gardner, a photographer who prints her images on cashmere, silk and cotton for a collection of brilliantly colorful scarves, kimonos and sarongs, and Deborah Lindquist, the Green Queen, who created a special animal themed collection for the Zoo, representing their West Coast home town. Atelier Tammam, a vegan couture collection from London, showed red carpet gowns with a touch of Old Hollywood. Juan Pablo Martinez debuted his new collection of recycled denim with exquisitely tailored dresses, jackets and jeans. Recent New York Fashion Week participant Melissa Lockwood brought zero waste knits from her collection IQ Test. TNT Agency created the jungle themed hair and makeup styles adding drama and excitement to the show. 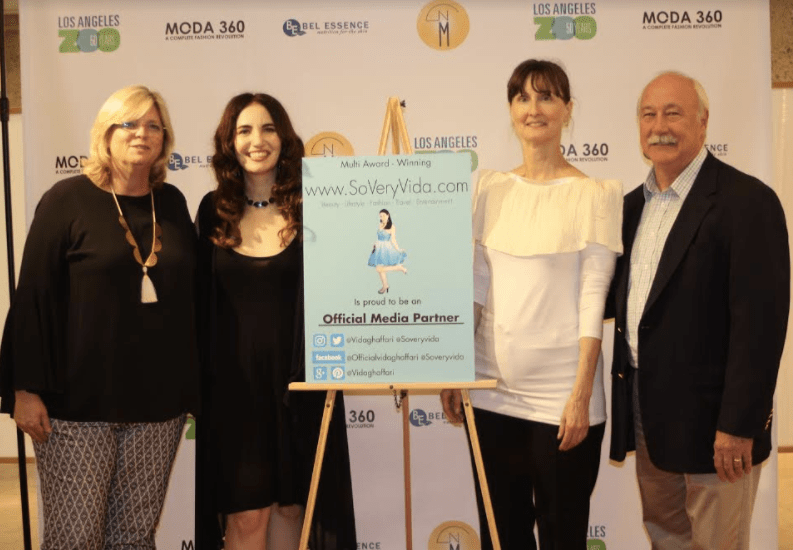 The event brought out celebrity champions of the Zoo, with actress Vida Ghaffari (The Mindy Project, Holy Terror) hosting Moda 360 and her fashion and lifestyle media outlet So Very Vida serving as the Official Media Sponsor. 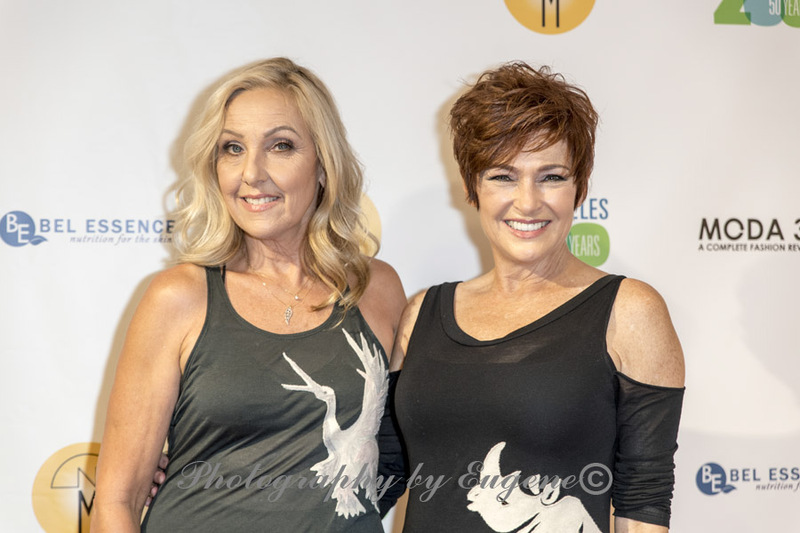 Emmy award-winning actress Carolyn Hennesy (General Hospital), a passionate Zoo Ambassador and Emmy nominated actor Kim Estes (Brooklyn Nine-Nine) along with noted actor Darby Hinton (Daniel Boone), devoted Zoo supporters, walked the red carpet and voiced their support of the Zoo’s conservation work. Founder and CEO of the World Networks, Lousine Karibian, was also in attendance. Model and actress Tamela D’Amico (Quinn) walked the runway in support of the Zoo’s global work. It was European royalty meeting Hollywood Royalty as HRH Princess Francesca Gioia Drommi of Italy also walked the red carpet with actor John Blyth Barrymore (Fake News). Moda 360 spotlighted creative work across the industries with a fashion and art exhibit of work by artists from the FiLa organization in London: Gemma Nelson, Sheree Naqvi, Kel Rae and Amy Digham. Philadelphia painter Mark Campana and LA photographer Jenna Amaya exhibited their work representing their creative point of view. LA artist Andrea Bogdan brought her latest work to live paint at the event, offering attendees a glimpse into the artist’s workshop. Washington DC artist Holly Ahrens created a special art piece for the runway, making a fine art statement about habitat destruction on a couture bomber jacket. Philadelphia designer Machele Nettles displayed pieces from her Idol Light collection, jewelry from reclaimed optic glass creating a new dimension in jewelry, refracting light into a rainbow of colors. Korbata, a fair trade accessories company in Guatemala showed a collection of ties made from native Guatemalan fabrics hand woven by artisans. The world premiere of LA Style, a fashion video by Lucinda Luvaas opened the runway, and international videos from filmmakers around the world were screened throughout the event. 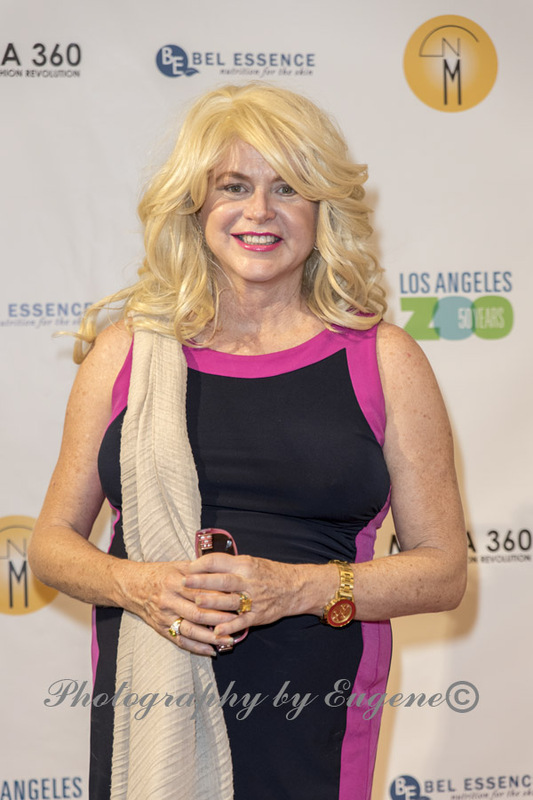 CE Jordan, a former model and professional storyteller entertained the audience with anecdotes from her modeling career in the 1970s. A feature screening of the award winning short film “Strangers in a Book” written by Pedram Navab and screened at the Cannes Film Festival, put the spotlight on the success of independent filmmakers, with an introduction by the director and co-writer Marc Rezvani and lead actress and co-producer Vida Ghaffari. 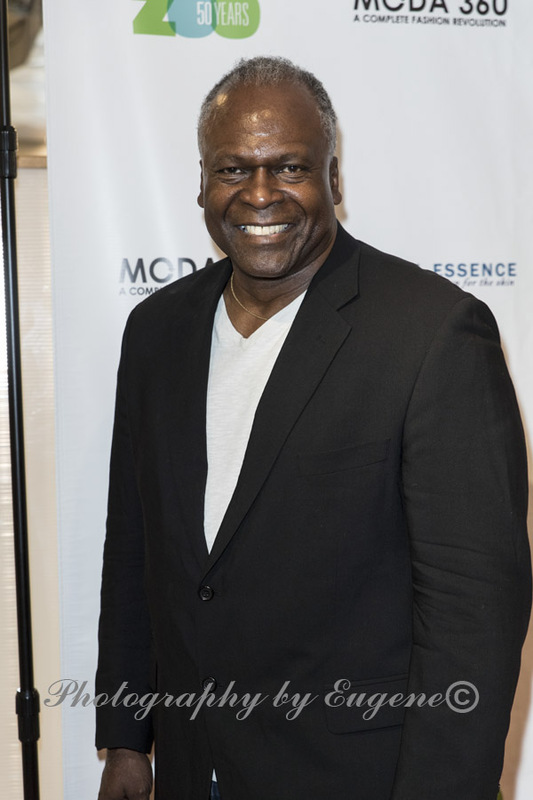 Moda 360 enjoyed the support of returning sponsor, natural skin care company Bel Essence, and the delicious spreads and seasonings of Sleeper’s Gourmet. Amante restaurant, an Italian restaurant in the New Mart, provided beer and wine for the attendees. Janet Cao, Designer and Principal of ShopVere, offered fun and unique hair ties as gifts to all who came. Moda 360 delivered an eclectic and entertaining program representing three creative industries and presenting the ideas, inspiration and ethics that drive the independent artist, designer and filmmaker forward in their work. Moda 360 shows the best of contemporary creation and gives a look behind the art to show the contribution these talented exhibitors offer the commercial and cultural market. About Bel Esprit – The Bel Esprit Showroom showcases international designers of ethical fashion, and the sister showroom, Showroom International, presents the collections of international independent designers. The showrooms offer 30 years of industry experience identifying and assisting the needs of both designers and retailers to facilitate a strong business relationship, and partner with international fashion industry organizations and events to give independent designers maximum exposure. Bel Esprit promotes ethical principles through education to designers, retailers and consumers, and, through a number of global initiatives, works to create and develop more ethical resources for the fashion industry. Learn more at www.BelEsprit.net. About the New Mart — The New Mart Building, a registered Los Angeles historical landmark located in the center of Downtown LA’s fashion district, is home to 100+ showrooms representing hundreds of top lines. With both high profile and cutting edge showrooms, The New Mart is the most sought after venue for wholesale fashion buyers from around the world. Learn more at www.newmart.net. About Bel Essence — Bel Essence is a natural skin care collection based on a simple idea: give skin the nutrition it needs to heal, regenerate and rejuvenate itself. Bel Essence combines natural and organic oils that are the richest sources of vitamins, antioxidants, omega 3’s and fatty acids, the essential components for healthy, youthful skin. Bel Essence gives skin what nature intended and selects and combines oils with beneficial properties to maximize results without harmful chemicals and colorings. Natural oils, known for their skin health benefits, are combined to treat and nourish skin giving both instant improvement and long-term transformation. Learn more at www.belessence.com. MODA 360: LA 2017 Takes a Walk on the Wild Side! MODA 360, an innovative exhibit of international art, fashion and film, presents a special event benefitting the Los Angeles Zoo and Botanical Gardens’ conservation program and celebrating the Zoo’s 50th anniversary August 1, 2017, 3 to 9 pm, at The New Mart in Downtown L.A. Incorporating exhibits and live presentations by international fashion designers, artists and filmmakers, Moda 360 encourages collaborations between the three creative industries. The 2017 edition of Moda 360 shines the spotlight on sustainability and the importance of preserving the habitats and inhabitants of our planet. A unique feature is “A Walk on the Wild Side,” a sustainable runway fashion show with creations by artists and designers reflecting the species, habitats and conservation projects championed by the L.A. Zoo. Moda 360 promises an eclectic and entertaining program representing three creative industries and presenting the ideas, inspiration, and ethics that drive the independent artist, designer and filmmaker forward in their work. Showing the best of contemporary creation, Moda 360 gives a look behind the art to show the contribution these talented exhibitors offer the commercial and cultural market. Moda 360 will also screen fashion videos from international filmmakers, and premiere a video homage of LA fashion by Lucinda Luuvas. CE Jordan will perform her all-too-true tales of modeling in LA and NY in “A Model Life,” a journey down the runway of life. Jordan is a former model and professional storyteller who will share reflections from her modeling career in the 1970s, weaving anecdotes about the many personalities she encountered in her work: Karl Lagerfeld, Gianni Versace, Andy Warhol, Michaele Vollbracht, Bill Blass, Givenchy. She has entertained audiences throughout Los Angeles with her warmth and wit, offering a fascinating look at life during fashion’s heyday. Wielding her signature combination of storytelling, music, dance, and an imaginative use of props, this versatile writer/performer will kick up her high heels in this model bash for the ageless. “A Model Life” performance is at 3 pm (seating begins at 2:45). A screening of “Strangers in a Book,” written by Pedram Navab and directed by Marc Rezvani, takes place at 4 pm (seating begins at 3:45). The film follows Sara in actress (and HPC’s own) Vida G’s (The Mindy Project, Mind of Mencia) dramatic debut, a hip and melancholic Iranian-American, who finds a misplaced book in a café. Intrigued by its contents, but unable to find the owner, she decides to interview the people in the notebook to decipher the identity of the mysterious man. The strangers whom she meets, considered the dregs of society, tell Sara stories about the enigmatic owner of the book, who is considered both diabolical and kind. In her relentless pursuit of the ultimate stranger, Sara is thus plunged into the horror of the unknown, where reality merges with art, and where existence itself is questioned. The film has also received 7 nominations at the prestigious Film Festival in San Diego and won Best Guerrilla Film at the popular Action on Film (AOF) Festival in Monrovia, California and the noted Finow Film and Script Festival in Eberswalde, Germany.Vida Ghaffari will introduce the film. 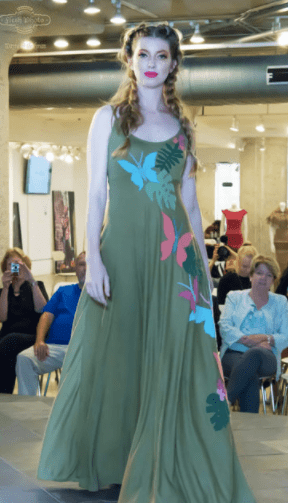 “A Walk on the Wild Side,” which takes place at 5:30 pm (seating begins at 5:15 pm, is a sustainable runway show of fashions by ethical designers from three continents to show that sustainability is vibrant and creative. It features the work of Atelier Tammam, a London couture house of 100% vegan and ethical fashion whose designs have graced the red carpet at the BAFTA awards; Juan Pablo Martinez, a collection fusing sustainability, fine tailoring and rock and roll from Bogata Colombia who began his career in the atelier of Christian LaCroix; designer Lucy Tammam, a fierce advocate of sustainable fashion who has been a force in the ethical fashion movement for over a decade; and LA’s own Deborah Lindquist who has spent 30 years designing eclectic, and striking fashion from reclaimed, recycled and sustainable materials. A special feature of the runway will be unique creations by artists and designers reflecting the species, habitats and conservation projects championed by the L.A. Zoo. These exceptional designers will hit the runway to support the L.A. Zoo and will be joined by other talented artists and designers creating one of a kind surprises that reflect the animals, habitats and conservation programs the L.A. Zoo champions. A team of hair and makeup artists from TNT Agency will create looks with a touch of the jungle. Moda 360 celebrates the innovation and creativity of designers and artists and welcomes exciting new innovations and ideas. Returning to Moda 360, Philadelphia designer Machele Nettles will show her latest Idol-Light collection of prism jewelry made from reclaimed optical glass. These sleek and modern designs refract light, making not just a fashion statement, but demonstrating the wonders of science. Machele is creating a special piece for the Zoo runway design challenge. 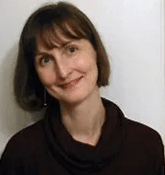 Vanessa Wishart from Toronto, Ontario, is a fashion artist, designer and costumer for theater, films and music tours. Internationally known for her ability to take the most banal items and transform it into wearable art, she creates fashion items from currency and is showing her latest Luut collection at Moda 360. Kor?áta from Guatemala, are high-quality ethical fashion products handwoven by Guatemalan artisans. The bright, colorful ties and wallets reflect the culture and spirit of the native artisans. Moda 360 welcomes returning artist Andrea Bogdan who will again live paint during the event. Andrea will debut an art and fashion collaboration on the runway to support the Zoo. The U.K. feminist art organization FiLiArt is organizing a special exhibition to make the statement that preserving our world is a feminist issue. Photographer Jenna Amaya also returns to Moda to show her expressive studies of exploration of human form and body art. Mark Campana joins fellow Philadelphian Machele Nettles showing his beautiful paintings of the historical architecture in his hometown. These creators will be joined by a growing roster of designers and artists. Bel Essence the natural skincare and certified cruelty-free company, returns as sponsor of Moda 360 for this special event. The New Mart is located at 127 E. 9th Street, 3rd Floor, Los Angeles, CA 90015. Tickets for MODA 360’s August 1 event range from $35 to $500 and are available at www.eventbrite.com/e/moda-360-fashion-art-and-film-experience-benefiting-la-zoo-conservation-tickets-35128296681. ABOUT BEL ESPRIT – The Bel Esprit Showroom showcases international designers of ethical fashion, and the sister showroom, Showroom International, presents the collections of international independent designers. The showrooms offer 30 years of industry experience identifying and assisting the needs of both designers and retailers to facilitate a strong business relationship, and partner with international fashion industry organizations and events to give independent designers maximum exposure. Bel Esprit promotes ethical principles through education to designers, retailers and consumers, and through a number of global initiatives works to create and develop more ethical resources for the fashion industry. Learn more at www.BelEsprit.net. ABOUT THE NEW MART – The New Mart Building, a registered Los Angeles historical landmark located in the center of Downtown LA’s fashion district, is home to 100+ showrooms representing hundreds of top lines. With both high profile and cutting edge showrooms, The New Mart is the most sought-after venue for wholesale fashion buyers from around the world. Learn more at www.newmart.net. ABOUT BEL ESSENCE – Bel Essence is a natural skincare collection based on a simple idea: give skin the nutrition it needs to heal, regenerate and rejuvenate itself. Bel Essence combines natural and organic oils that are the richest sources of vitamins, antioxidants, omega 3’s and fatty acids, the essential components for healthy, youthful skin. Bel Essence gives skin what nature intended and selects and combines oils with beneficial properties to maximize results without harmful chemicals and colorings. Natural oils, known for their skin health benefits, are combined to treat and nourish skin giving both instant improvement and long-term transformation. Learn more at www.belessence.com. ABOUT THE LOS ANGELES ZOO – The Los Angeles Zoo and Botanical Gardens marks its 50th anniversary with a yearlong “ZooLAbration” that began on November 28, 2016, which is the 50th anniversary of the opening at its current location. Throughout the 50th anniversary year, the Zoo spotlights not only its key role as a world-class destination and an important community asset but also its critical successes in conservation, quality of life and premier care for animals. Having recently completed a $172 million master plan which significantly improved the Zoo facility, the Zoo now embarks upon developing a new Master Plan, which will serve as a road map for the future. The landmark Los Angeles Zoo and Botanical Gardens, drawing nearly 1.8 million visitors each year, is home to a diverse collection of 1,100 animals representing 250 different species, many of which are rare or endangered, as well as a botanical collection comprising over 800 different plant species with approximately 7,000 individual plants. Accredited by the Association of Zoos and Aquariums (AZA), whose members meet rigorous professional standards for animal welfare, the Zoo has achieved renown as an international leader in the preservation of endangered species and a conservation center for the care and study of wildlife. Its responsibility toward wildlife conservation not only encompasses safeguarding the animals in its care but also actively participating in the preservation of some of the world’s most critically endangered species and their habitats. The Zoo’s many conservation successes include having led the charge in saving California condors from extinction and restoring populations of these critically endangered animals to their native habitats.